Allu returns to the silver screen next summer in the upcoming Vakkantham Vamsi directed film “Naa Peru Surya”. The new dad is expected to hit the gym to be in tiptop shape for his role as a military officer. A belated congrats to Allu and Sneda on the birth of their second baby. All rights to the image and quote belongs to Allu Arjun. 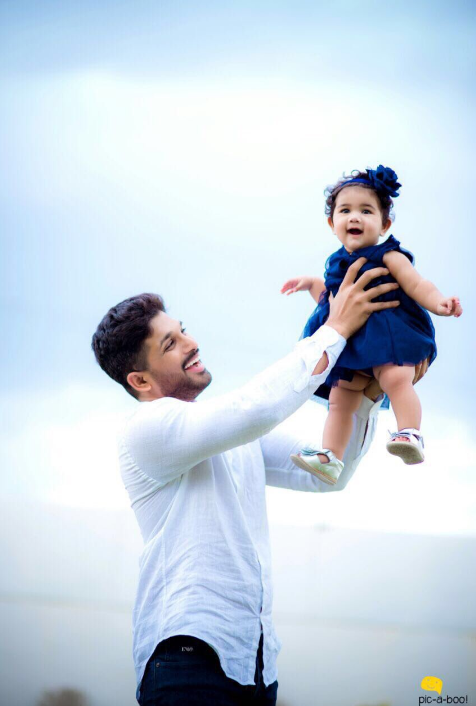 This entry was posted in Entertainment, Family, News and tagged Allu Arjun, babies, India, Naa Peru Surya, Telugu cinema. Bookmark the permalink. Recently enjoyed a new movie ‘DJ’ of allu arjun.